Share RIGHTEOUSNESS N OMRI's EPK! FIRST MUSIC VIDEO 2005 "MAMA 1 A DESE DAYS" AIRED ON CVM TV, REGGAE SUN TV, TVJ, FI WI TV IN JAMAICA. 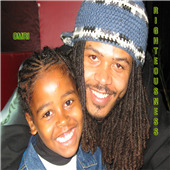 Righteousness has been in the business 12 years strong with his first record being released in 1998 on the Bass Rekordz label and distributed by Sonic Sound out of Jamaica. 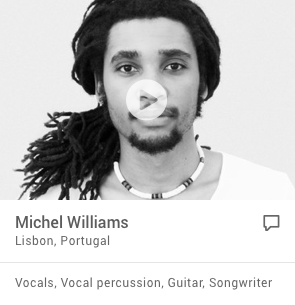 He spent his time in the business writing, learning audio and video production, developing and expanding his vocal range, learning the business and now he is finally ready for the world to hear his music. Righteousness has produced Merciless, Tanya Stephens, Lukey D, Tony Curtis, Roundhead and Leroy Sibbles, Chuck Fender, the late Simpleton, Baby Wayne and the list keeps growing. Righteousness has been making a name for himself in his new home town of Toronto with some blazing performances at Jamaica day, Cameron house, Rastafest, Dundas square, Da Block party, Park dale Drink, 6 Degrees, All white affair, Culture fest, Town talk, Notorious, Club mirage spreading his message of righteousness. 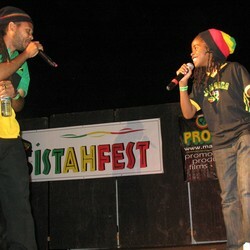 In 2007 the face of Righteousness released his debut single after the name change "Gonna be a star" featuring one of Jamaica's fastest female rising Angel and Omri. The music video for "Gonna be a star" received great responses from the audience especially the children and inspired the artiste to start a nonprofit organization of the same name. In 2008 "My Faith" was released and had been downloaded 800 times in the first month posted on Soundclick with no promotion. Its on a sweet one drop reggae beat that really compliments The Face of Righteousness's unique vocal style. 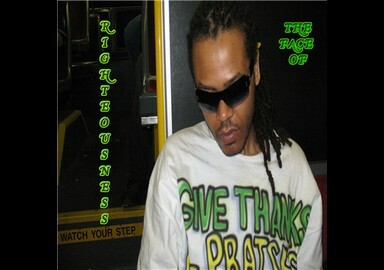 Now 2014 the face of Righteousness has some fresh new material and recently signed to Elite Media Productions. Look out for "What kinda world" "Poor Daddy" and "FADA N SON" featuring Omri as this father and son duo get ready to bring entertainment to a higher more respectable level, where talent comes first and the music speaks for itself. Righteousness; IT IS not just a name; IT IS ALSO the lifestyle.